Every weekend in April, ’16: Siena Walking Tour. Admission: €25, €10 (reduction for residents) free for kids under 11; registration is obligatory at sienasms@c-way.it or by calling 3476137678/ 3480216972. Celebrating the National Walking Year, Siena is in motion throughout April and offers programs that replenish the body and the mind. 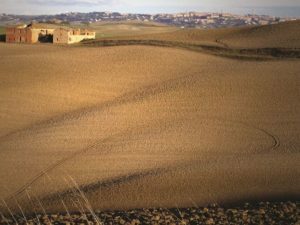 The focus is the Via Francigena with the heritage of the ancient pilgrimages and Siena’s rich cultural heritage. 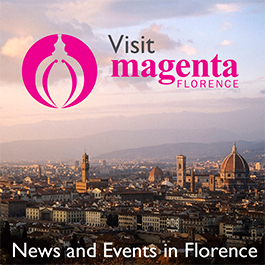 The festival will be inaugurated on Saturday, April 2 with night hours at the Museo Civico in Siena’s Palazzo Pubblico. There, the Sala del Mappamondo will host a free concert (9:30 pm), followed by a free wine tasting and finger food. For more information call 0577/292420. Via Francigena, the historic road that traverses Siena connects Canterbury, the home of the Archbishop of England and the Pope in the Vatican, leading past and modern-day wayfarers through France and Switzerland. The route attracts pilgrim from all over the world for religious reasons but it is also popular with travelers to admire the beautiful landscape and natural and cultural sites that surround the road. Siena Walking Tour takes visitors on a trip to the city and the Via Francigena every weekend in April. It offers a unique possibility to discover a 25 km (15mi) part of the road with a guided group and enjoy the beauty of landmarks and the countryside. Tours start from Ponte d’Arbia to discover the time-honored route every Saturday and Sunday of the month. A day filled with activities for children and families is scheduled for Sunday, April 3.